For any webmaster that had been around for some time making money with affiliate programs is almost a must or You should at least add a few Google or Yahoo text links ads to your web site. And many have thought about opening a blog in addition to their old web sites. Opportunities are all around you! All you have to do is to go out and grab them as fast as you can! Most of the people who want to earn money this way end up making some cash, probably enough to cover their web site’s expenses. If they have designed the web site themselves, that is. Make no mistake here – you can make money online with web sites, even with very personal blogs, but it’s going to take a lot of working and tweaking to get to the point where you attract a highly targeted audience to your web site. Today it’s a little bit different. A lot of people join affiliate programs because they’ve bought a product and they like it so much that they believe that product has the potential to be a worldwide success story. So why not join the business? Finding a high quality product that you genuinely like to use and are eager to promote is the best way to make money online – that’s for sure. But how does this relate to your personal web site? 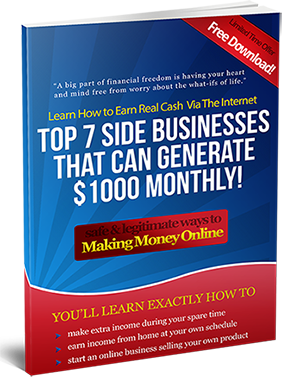 Would you be able to make money online adding affiliate ads to your existing web site? Would your visitors be interested in clicking the “Order Now” button? For the large majority of web sites, the answer is “No”. People have come to believe that text link ads are normal on a web site, and so much so that they simply ignore them. A good marketing move is to make the most of the seasonal promotions and advertise your business to as many people as possible. Offline advertising is a very powerful tool if you use it right. Let’s say you have a Xmas promotion. You can send with every package a few printed Xmas cards with a nice picture on one side and the address of your web site and a few words about your business on the back of the card. Let your customers send your holiday cards around and promote your business! The online industry is extremely fast moving. Successful affiliate marketing means constantly coming up with new ideas and testing them. Nice article, but are you sure if not scam? i think many scam affiliate in internet.